Doncaster yearling graduates enjoyed a superb weekend of racing with four stakes winners headlined by the star filly LAURENS, who won her fifth Group 1 at Newmarket on Saturday, and MABS CROSS, who claimed a much-deserved Group 1 victory at yesterday’s Longchamp Qatar Prix de l'Arc de Triomphe meeting. Star filly LAURENS made a winning return to Newmarket in Saturday’s Group 1 Kingdom Of Bahrain Sun Chariot Stakes for trainer Karl Burke and owner John Dance, cementing herself as one of the finest yearlings to have been sold in Goffs UK history. 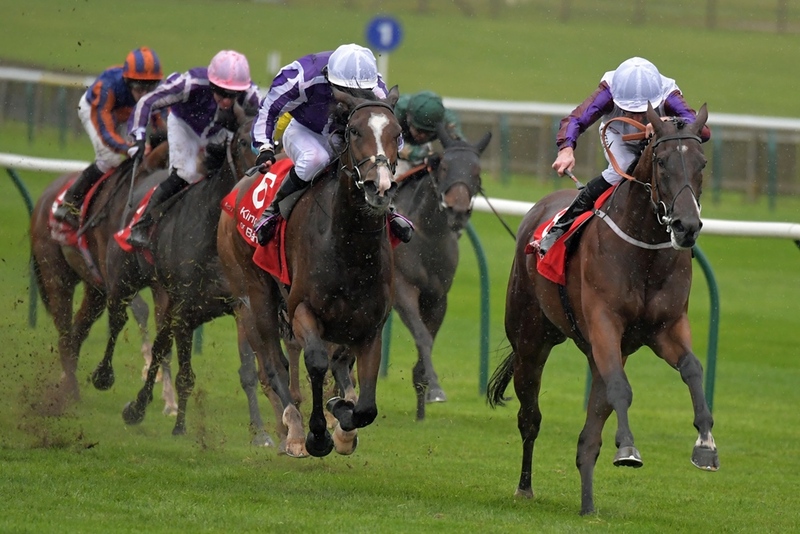 Connections are now looking to target the QIPCO British Champions Day or the Breeders’ Cup meeting with the 3YO. Laurens was offered by Coulonces Consignment at the 2016 Goffs UK Premier Sale where she was purchased by Salcey Forest Stud for £220,000. Tough mare MABS CROSS made amends for the narrowest of defeats in the Group 1 Nunthorpe Stakes in August with a brilliant victory in yesterday’s Group 1 Prix de l'Abbaye de Longchamp Longines for trainer Michael Dods and owner Emma Armstrong. Her maiden Group 1 win was well deserved and capped off a brilliant season which also saw her place in Royal Ascot’s Group 1 King’s Stand Stakes. Mabs Cross was offered by Highfield Farm as a yearling at the 2015 Goffs UK Autumn Sale where she was purchased by Peter Fahey for £3,000. Also successful over the weekend were the Roger Charlton trained PROJECTION who won Saturday’s Group 3 John Guest Racing Bengough Stakes at Ascot for owners The Royal Ascot Racing Club, and the Richard Hannon trained TABARRAK, who won Saturday’s Listed Racing UK EBF Stallions Guisborough Stakes at Redcar for owners Shadwell. Projection – offered: 2014 DBS Premier Yearling Sale by Highclere Stud, purchased: John & Jake Warren for £90,000. Tabarrak – offered: 2014 DBS Premier Yearling Sale by Baroda & Colbinstown Studs, purchased: Peter & Ross Doyle Bloodstock for £180,000.